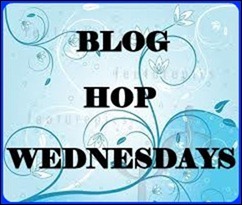 I love the event Blog Hop, as we come to know more bloggers and varieties of food... This month I was paired with Achu's Amma's Kitchen and I selected Mutter-paneer but I didn't use mutter but prepared paneer in the same procedure given by Achu with little alterations with the ingredients. In a kadai shallow fry the cubed paneer, both the sides with 1 tbsp of oil. In the same kadai heat 2 tbsp of oil and put the sliced onion, chopped ginger, garlic and cashew-nuts. Cook it for 4-5 minutes. Now add the chopped tomatoes and cook for another 2-3 minutes. Once cooked strain it and let it cool for few minutes. In the same kadai heat 2 tbsp of oil and put the paste into it. Now add salt, turmeric powder, black pepper, red chilli powder, coriander powder, garam masala and a cup of water and let it cook for 5 minutes at low heat. Now add the shallow fried panner and cover with a lid for 2-3 minutes. At last add the fresh cream and mix it properly. Let it cook for 2-3 minutes more and its ready to be served. surabhi amazing curry :) what will i not give to dunk a piece of roti into this yummy delight!!! Love the color of the curry Surabhi. These would have tasted great with rotis. Simply mouthwatering and yummy looking paneer preparation. Love the colour of the gravy.